Corporation in the 1930s described Philo’s invention as electronic television. This was to distinguish Farnsworth’s totally electronic system from mechanical television. 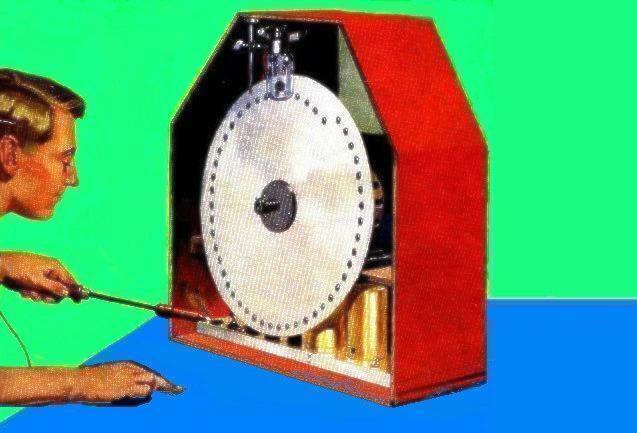 For while mechanical television was dependent on large, cumbersome revolving discs, or in some cases, rotating mirrored drums, Farnsworth’s electronic television system had no moving parts. cal television with only limited success. neon tube that glowed red with varying intensity through a series of small square perforations in a spiral pattern on a spinning disc. The aluminum discs were about the size of an extra-large pizza and were used for both transmission and reception purposes. The mechanical television system was problematic, to say the least. A major difficulty was that the transmitting scanning disc had to be perfectly synchronized with the receiving disc. If the discs were out of sync, the resulting picture would range from extremely blurry to indistinguishable. And even when the discs were perfectly in sync (which wasn’t all that often), the image’s resolution was still very poor—thirty lines compared to Farnsworth’s initial sixty and later four-hundred-plus line image. The image lines in mechanical television ran vertically (instead of horizontally as in the electronic system) and were slightly curved since they were generated by a large revolving disc. 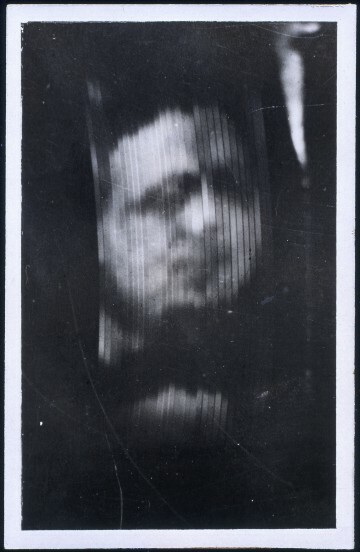 The low image resolution of John Logie Baird’s mechanical television was a major disadvantage that led to the technology’s replacement by electronic television systems. image was only half the size of a business card. 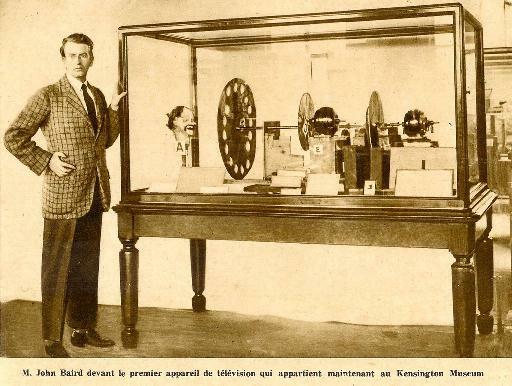 credited with inventing the first mechanical television system in 1884. 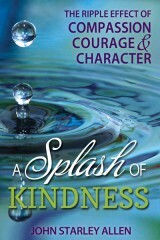 Next Next post: Interview with Richie T.